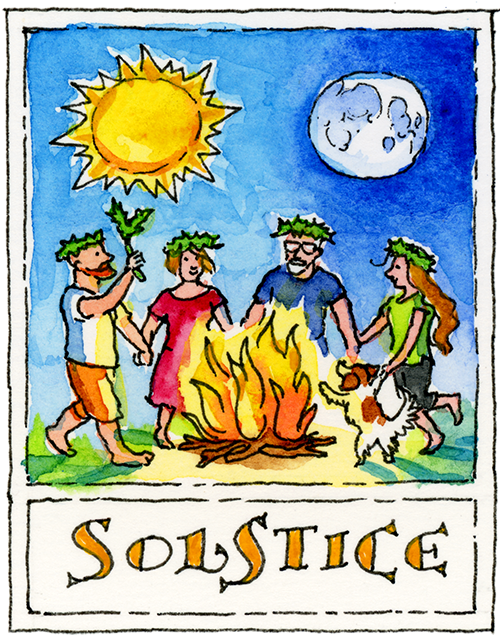 Don your leafy crown and pagan garb and prepare to dance ’round the bonfire, for (in the Northern Hemisphere) ’tis the Summer Solstice, the longest day of the year, a time to celebrate our warming sun, our greening earth, and fertility in all its forms. And this shortest night is graced by a full moon, an unusual conjunction of events. Reason enough for dancing! 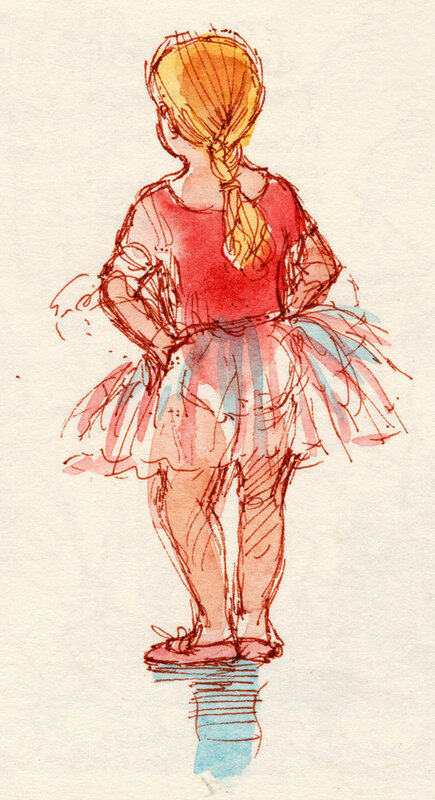 In honor of the birthday of Isadora Duncan (1877-1927) I post this sketch of my daughter in her ballet costume, drawn about 7 years ago. I was surprised to see how many quick sketches I had made over the years of my daughter dancing, in various costumes, trailing scarves and capes and, in one case, a large feather duster. I don’t think Isadora Duncan made use of feather dusters. However, she really did have a troupe of students named the Isadorables.